Right on brother this will help people by personalizing the message. This type of public exposure will put a strain on your security I presume it will be pre recorded? We will look forward to it. Very excited for this interview!! Go sign this and lets get 10k people to show their focused intent! someone need to record this...i think i would miss this..
144 no worries blog talk achives their shows. Can someone the interview in German and Polish translation? Great to hear about the interview and I will be listening. Last night I decided to sleep on my roof as something inside me wants to be under the stars as much as possible. Greek summer nights under the stars is so soothing to me. The dream started out with walking through a brightly lit hallway full of people going in both directions. I ran into a girl I know going in the opposite direction, said hi to each other, gave kisses on the cheeks and went our separate ways. After this, I meet up with a group of people I have never seen before but oddly recognized them as close friends. We were hanging out in an apartment waiting for a couple of the girls in the group to get ready, which apparently took long enough for me to catch a nap on the couch (Even in my dreams women take forever to get ready). So I fell asleep on the couch and I started to dream - again. Now I'm back on the roof of my house when I notice 3 guys - 2 white guys and one of darker complexion. I knew they were up to something so I kept watch. Eventually I followed them downstairs where they started looking for something. One notices a folded 20 Euro note on a table and tells the darker individual to "take it". I started to wrestle with the guy who took the money, but he wasn't putting up any kind of fight and in fact had a smile on his face. At the moment before I reached to snap his neck, I said to myself "wait, what am I doing?" and just let him go. The 3 of them vanished. I then looked up towards the clear blue sky after this and said "I want to fly", so for the first time in 20 something years, I went FLYING!!! I was so happy I let out a some laughter. For some reason I felt it was physically audible outside the dream to anyone around me and thought to myself "everyone around me will think I'm crazy for laughing in my dream". I started to fly. Faster and faster, higher and higher. I truly felt I was back where I belonged. At some point, I looked up and said "I want to go into space." And up I went. I got to an altitude where I could clearly see the curvature of the Earth and was probably just outside the atmosphere. I was planning on going far enough out to see the Earth as a whole, but as soon as I got to a certain altitude, I saw 2 objects that looked like someone riding a bike. It wasn't really a bike, but it had 2 large 'wheel' looking things on either end with a superstructure in the middle. They seemed to be on patrol. My flying ended there and I woke up back in the original dream on the couch. I started to tell my 'friends' about it and remember distinctly saying "I was lucid during the dream." The rest of the dream was a lot of walking around in some area with shops and an odd mid-80's Mercedes limousine. I woke up at dawn with the sun just below the horizon and the moon high in the sky. Love and Light to all, I think we are all on the right path. I had many different dreams about falcons, vultures, eagles and owls. In my "remembering how to fly" dreams, a Falcon taught me with great patience how to fly, and finally let go assisting me, and said "now spread your wings and fly". I flew, glided, soared up in a spiral towards the Sun. Freia, as a child, most of my dreams were of flying. I don't recall ever having a guide showing me how, I just remember starting with running very fast - where ever step in my stride was very far apart. It then progressed to jumping and holding a feeling that kept me up. From there on it felt natural. The last time I had a dream of flying, I was about 14. I still remember the dream. I was across the street of my elementary school in front of a library and tried to get up into the sky, but distinctly remember someone to my left (a shadow more or less) and my flying days were over. Last night's dream was the first of it's kind and I do remember moving my arms like a bird. At one point I even did the superman pose. It was joy I haven't felt in 20+ years. JOKO, I'm sorry to hear about the fires and trails. We deal with fires out here every summer so I feel your concern. I'll send you as much 'good vibes' as my being will allow for. One Love brother, it'll all be over very soon. When the light reached us from the supernova 1987a, I had my first flying dream. I was seven years old. It was the perfect dream. It was nighttime, but it wasn't dark, like it was twilight or the night of a full moon. I was alone, in a land that was all mine, with big beautiful trees and a fresh cool breeze. I was flying - I was free as a bird! Nothing was off limits as I soared through the sky. There was even a small staircase and a tunnel (I love tunnels) like it was the opening to a world just under our feet. I dove under and flew through the tunnel and I remember feeling pure perfection. I felt whole. When I got tired, I started looking for a comfortable place to sleep, and found one under a tree, on a bed of leaves made just for me. When I fell asleep, I woke up, back in my bed. And all I remember thinking was, that felt more like the real life, and this life - is the dream. Been flying since as long as can remember. As well as lucid dreams and astral projections. Only enough understanding and focus in the past few years that I know the difference between them. 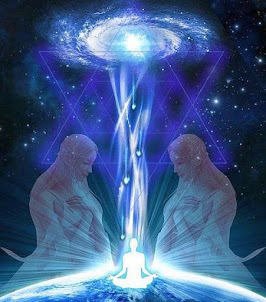 I used an astral projection recently to contact what I believe to be 2 members of my Pleiadian family. The first time the came to me as familiar animals that where ver friendly to me, one was an astral looking wolf that sat in front of me as a guard so it seemed. The other was a red dog that rolled around and snarled playfully in my lap. The contact was very brief and I woke up. The next night I meditated before bed and asked to connect with them again. This time I was on the street where I live, where all my projections stay close to. When I called to them this time I asked that they appear in their true form. Light from the sky down to the ground lit up a faint blue color. Then the shape of 2 physical bodies appeared but inside of their outline there was a rainbow of metallic colors going through them. After they stepped out of the light their physical bodies manifested. It was an older man with salt and pepper hair that was easily identifiable as the wolf and a red haired younger women around my age. We did not talk just exchanged emotions in a way that was familiar to me but I had never done before. It was very evident that the women had strong feelings for me. But yes Theo is is very wonderful stuff! Lucid dreams are you first step to astral projection. Which can be the most wonderful thing to every experience. When you have a lucid dream next time stop for a moment and think about what you would like to experience or do and you can do anything. 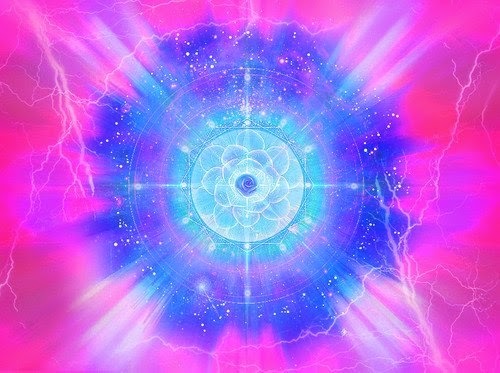 I have been using to to try and connect to my higher self and any guides willing to communicate. Maybe it was Morpheus and Trinity coming to unplug you Neo. . It would be nice to transcribe the interviews for those who are foreigners, it is very difficult to understand an audio file in English. @Theo - seems to be an interesting connection between your dream and a communication between Steve Beckow and some galactics, if I remember right. A while back (6 weeks?) there was talk of a trip to a starship, and they told him they would come pick people up in a limosine, and take 'bikes' to the ships. Theo, bike dreams, spiderman dreams, superman dreams, all very common to kids in form or another, because they can relate how to explain in these terms. When I was a kid, I WAS Skywalker lol! Because the movie changed my perception forever on. After all, by the time we are 5-6 yo, we have forgotten how to fly, because it defies physics and existance in 3D. Small error on time zone.. Funny thing if you read my post above this about the projections I have had recently is that for a while now there are very bright lingering stars at certain points in my night sky that where not there before. Not to mention I cant find any of our constelations anymore. Anyhow, other night when I was out at about 11 pm one of the unusual stars just started moving across the sky, made a 90 degree turn and went over to a different spot in the sky and went stationary again. Just yesterday I had a projection and was having a block party with my neighbors. Looked up in the sky during the projection and say 5-6 moving stars like the one I say when I was out with my dogs the other night and they where flying very fast around another star shooting balls of light at it and destroyed it. When I woke up today it dawned on me that the exact same spot that this UFO went statoinary and sat the other night was the exact same spot in the sky that I saw this battle during my projection. Then after processing it some more I realized that it was also the exact same spot that the beam of light came from when I met the people I called forth in my projection. Which I didnt mention above but they where both completely human and wearing suits that where form fit like star trek suits but they where a greyish blue suit with blue trim around the cuff of the arm and the neck. Seems to all fit together perfectly! What you saw in the sky and your dream could also be one and the same. that's why people throughout the ages wanted their dreams "interpreted". I wonder if the crafts in my most recent projections are etheric/astral light warriors working on the removal of non-physical ankle biters. Possibly working from the crafts I saw moving in my night sky as well. Like I said all form the same spot in the sky every time. Can you tell us what have you seen exactely brando? I have seen 2 of the stars that are in my normal night sky moving to different locations in the sky and then remaining stationary in different spots. The one traveled over my house and went east over my neighbours house. 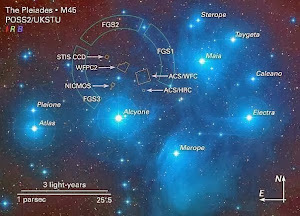 Then during an astral projection I had yesterday, early in the morning, there where 5-6 objects that looked like stars in the sky at the exact location where the one stopped and remained stationary the other night. These stars where moving very quickly around another smaller star and shooting balls of light at it and destroyed it. The first thing I thought during the projection, as soon as I saw this, was that it was light warriors working on cleaning the astral plane of ankle biters and their amoeba. 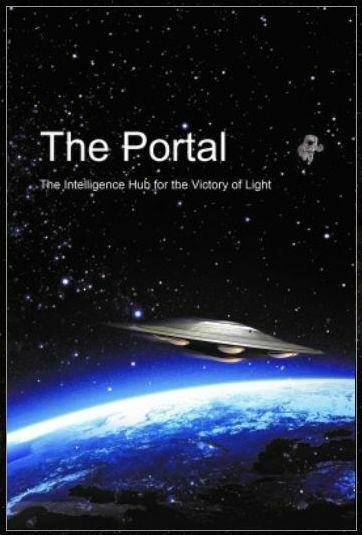 Really strange thing is that the 2 beings I met in a previous projection came from a beam of light in the sky at the exact location as the battle I speak of took place. Also the exact location that one of the stars moving in my night sky stopped and went stationary again. I definately think that something is happening right above me! Looking forward to your interview Cobra. I know you will do a magnificent job clearing the smoke out. Also after taking all these Picts I went back inside my house and started to view them...well I also captured a massive orb with some strange pattern in its nucleus. I'm really puzzled and excited by all this. If anyone is interested to give me an opinion on these Picts I would gladly send them via email. A shocking Federal Security Service (FSB) report circulating in the Kremlin today states that last week an “intense” battle erupted in the US State of Michigan between military forces loyal to the Obama regime and American rebels that killed at least 380 men, women and children who had gathered to oppose their nations slide towards a totalitarian dictatorship. According to this report, nearly 500 people opposed to the Obama regime had assembled for a “clandestine” meeting in the Michigan country of Alpena in an effort to form a 50-State alliance of local law enforcement and political officers seeking to “turn the tide” of their nations path towards dictatorship even, should it be necessary, by armed force. Cobra please do reply http://www.liveleak.com/view?i=b62_1339509178 I also would like a response by cobra on this reprt I hope it is not true .......surely this is not stardust related!!? Everyone has been accounted for. There was an explosion, but no lives were lost. No worries my friend. Also check out DR GREER's update on his "SIRIUS" project. He is one of my biggest hero's for his tireless, pioneering work for the disclosure! About half way thru your interview now. It is excellent! Thank you for bringing us up to date, sir and God Bless. I LOVED THE SHOW!!!! I want to thank you from the bottom of my heart and sould for what you are doing. For sacrificing so very much for the human race. I fealt alone until I found the Galactics, (and my wife of course!). I am so excited for what is about to come, this is what I was meant for, what we were all meant for. Again, Cobra, thank you very much, I hope to one day meet. yes, it is done....nothing matters but our sovereignty, and our reconnect to Source...after hearing your interview, i now know why I AM where I AM. thank you for verifying many things for me. Much gratitude for your participation....See you in the Mirror! Namaste', friend. I agree, many many questions were answered. I truly know why I am here now. Thanks for the interview Cobra; it was nice to hear from you. One question I have is this: You mentioned that the Pleidians will be the first to have open contact with Earth Humans. Bashar says that this first civilization will be the Yahyel... Are the Yahyel are subsidiary of the Pleides? Thank you for your response. Thanks for the interview, Mr. or Ms. Cobra! I support you in the light always. it's archived on the site... just click the link again... should work. That's how I listened, as I missed it too. I got so super charged from listening to the interview. I'm totally buzzing. I can tell he's a real deal and so very True! Awesome! Thank you "Cobra". a little help with a transcript of the interview, please? (link or cobra's post). Love the Interview Cobra, very informative and assuring especially that "The arrest is going to happen no matter what", Love this really want to see it happen and of course visioning the Peaceful surrender and a reboot of the system, people will see what many of us have seen saying and will be alerted and then believe. Those who are not will look for those who know what is going on and will ask and will later believe. 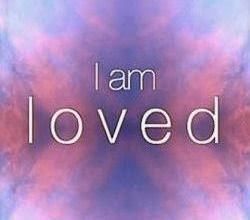 Will stay balanced and grounded in Love and the Light. 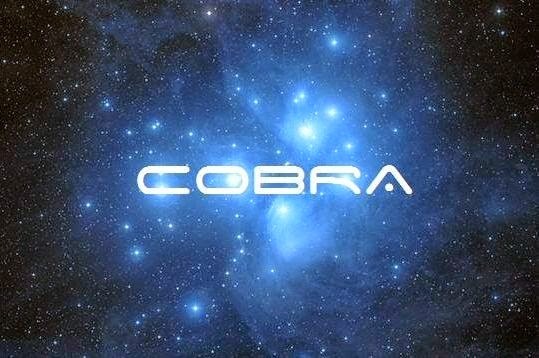 Cobra, great appreciation for what you and the rest are doing, to help secure the liberation of this planet and its inhabitants. Your interview was clear and provided me with good understanding of options being considered. Focusing on what looks good, what our planet and everyone can look forward to. I youtubed this http://youtu.be/uy6lfllufCQ Thanks to all great show. IAM listening to the interview now very interesting and I enjoy this getting out there. Is it just me or or does Cobra sound like he has a german or austrian sounding speech pattern even with the modulation. I care not if he is from Timbuktu we just want results. 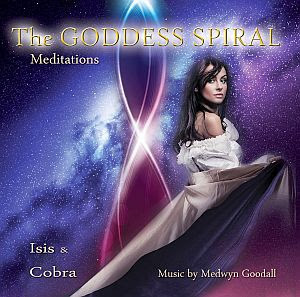 I find it interesting "The resistance group" that cobra works with is into the effects of mass meditations etc. as most govt. type minds and certainly military usually find accepting such non linear thinking and out of the bx type thinking difficult to comprhend. I am glad there are those who are up to spee and working diligently. Hungarian, without question....I have a close friend from Hungary who sounds exactly like Cobra - and I have trained professionally in dialects. I feel reassured that Cobra says he feels secure with his current protection - but one must always be careful. I don't think I'm giving anything away here - and who knows? Maybe the voice-modification software can mess with dialects, too - maybe he's from Louisiana? Anyway, I found the interview completely credible - there is no doubt in my mind that this man is who he says he is. It then follows that the cabal truly is near the end. And so let's keep the Light high and focused, with a free and beautiful Earth about to manifest! Anyway, it's honestly the same for me on the "who cares" part. I guess I just mostly like that this is all a very international group and it goes to show we have all been placed on the grid in various areas to hold the energy specifically in those places. I keep meaning to tell JOKO311 I have close connections to the place where he is located, too. Maybe if he sees this, he can contact me via my blog, *hint hint*. It's either Hungarian or German I think. Last nite's intrview was like hearing a dream come true...understanding the importance of intention, i cocooned myself today to hold on to this sonderful and giant soul sigh of relief. I then spent some time in intention focusing on zapping the remaining shadowy controllers with the Golden Light of Love of One....zap zap zap zap...they are truly resisitant because i could see it was bouncing off in the beginning, but then some of it was getting thru and absorbed in short, fine bursts.... i know it was felt somewhere because my heat opened and i had tears of compassion for their Being-ness and purpose for several minutes. 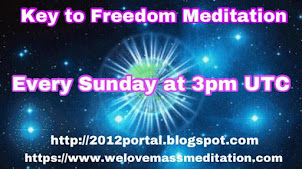 Cobra, i would love to participate in another collective meditation on this before the 21st deadline....will this help? Not sure if someone posted this already, but here is a link to Kauilapele's site. What’s weird is that Cobra had exactly 20,000 views yesterday. Very unusual number. Wow, that is a trip. I think that is fantastic that there were so many hits! I wonder what this will develop into. Some where along I fell asleep while listening to the interview but i awoke to the song at the end with the most awesome feelings washing over me and that what ever happens it will all be worth it in the end. (I was so tired and it was late) have since gone back and listened again and i have the same positive uplifting energy as i did last night. Thank you Cobra and to the others who stick their necks out for the rest of humanity. As for the rest of us, keeping the focus and our vibrations up is what's important. May the back biting that occurred a few days ago be a test we have learnt from as we will be tested again. I wish you all Love, Peace harmony and may the light shine brightly on your paths. I would first like to offer my heartfelt thanks to you and to your associates who remain unseen, unheard and unknown. 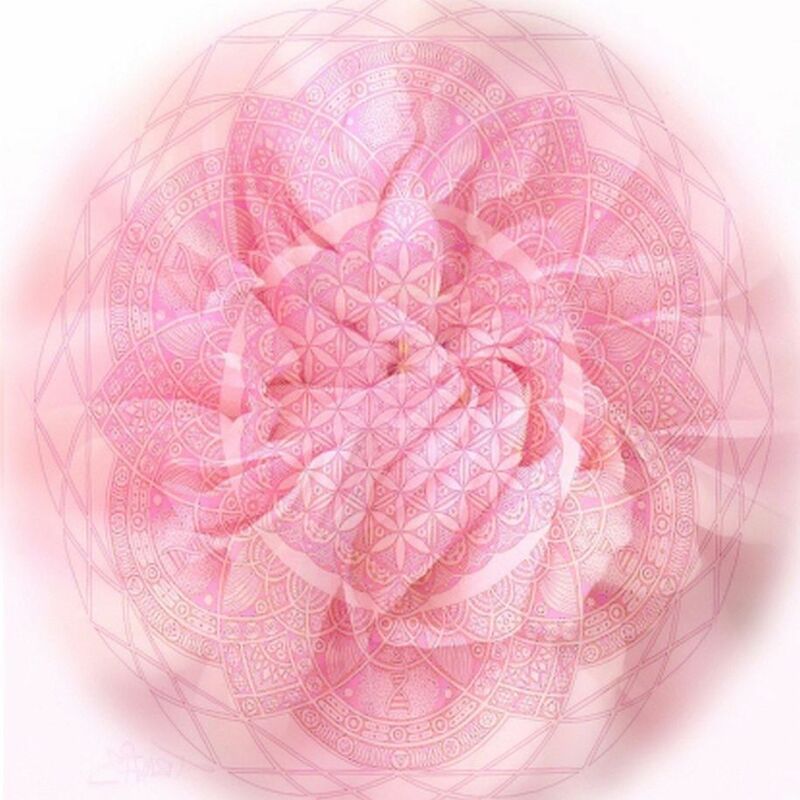 The work that you perform for humanity and Gaia cannot be quantified or measured. Your responsibilites are great and your rewards will be even greater. The liberation of this planet becomes the liberation of this galaxy. 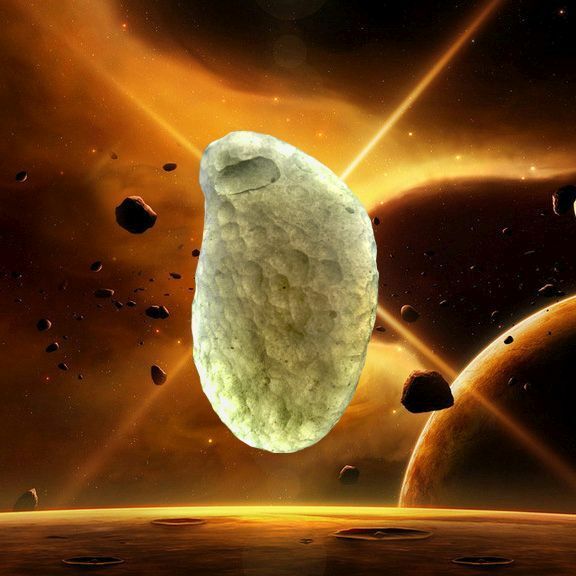 We, members of the 20 million, are active participants in this cosmic drama. These tens of millions are not always seen or heard nor do they choose this exposure, but we are here none the less, planting millions upon millions of seeds as we take part in the slow but steady awakening of the slumbering consumers. Some of the members of the 20 million are from star systems far away and would be considered angels by our star families. Here on Earth however, we are classified as terrorists. This imbalance is the very reason that we are here and present and have been here to support the people of Earth and the Earth herself. We know and understand that it is of utmost importance that the Earth's humanity be brought out from under the control and manipulation of those whose priorities are to themselves and to no one else. Even a select number of the controllers are actually controlled themselves and are in servitude. You made mention during your first of many interviews to come, that the Resistance Movement is interested in hearing how the people of Earth would like to deal with the Cabal. This, I understand, will become the main determining factor as to how the Cabal will be dealt with. This very subject matter has been something that has intrigued me for some time. The reason for my intrigue has to do with lack of the world's population being informed as to what is truly happening all around them. We really don't know how people will act and react when they discover the truth of their imprisoned status. I don't see this however, as being the point. The determining factor is that the members of the Cabal, who are not elite and should not be treated as special, and who have no intention of relinquishing their control, will never be able to blend into the Earth's society and live among the populace. There exist a few who have been forced to support the work and the workings of this Cabal, who are actually very innocent people. Some of these people are family members of the Cabal who have been forced and controlled themselves. Some of the members of the Cabal have no souls. Some of the members of the Cabal are true psychopaths who cannot be allowed freedom within the general population. No matter what good they promise, they will do the very opposite. That is all they know. 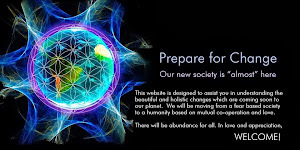 I have heard of the possibility of these Cabal being removed from the Earth with provisions that will allow them to live and survive on a planetary body very far from this Earth. I strongly support this possibility with hopes that this becomes reality. The question remains, what will happen to these of the Cabal, if they refuse to surrender and leave in peace to another planet? What if they insist on remaining and fighting? We cannot send in innocent military people with essentially sticks and stones as weapons as they are expected to do battle with weaponry that is so high tech, we do not even know it exists. This beautiful Earth with its rich and vast diversity should always be considered with top priority long before a few thousand miscreants whose attitudes, actions and tactics are considered and protected and allowed to rule. The above Cobra, is my vote. Hey COBRA thanks so very much for all your efforts and for connecting with the People! We are behind you all the way!! Ps loved the song at the end. Do you have these messages in French? If not, do you authorize me to translate them in French and publish them with a link back to your blog?